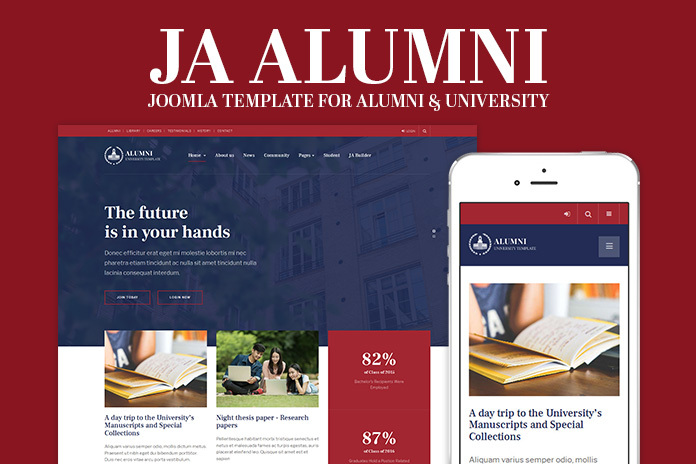 JA Alumni - creative Alumni and University Joomla template designed comes with all layouts, pages and functionalities to build a complete alumni & university website. 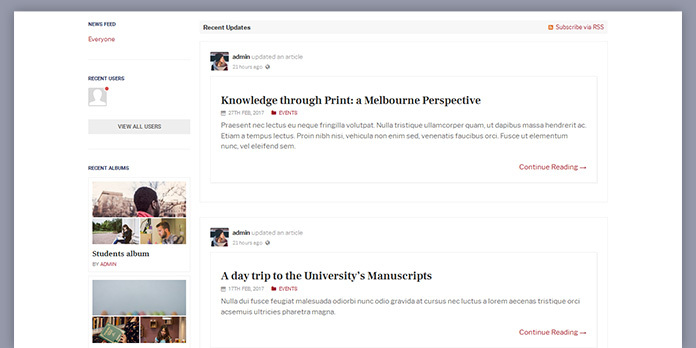 The template is built with robust T3 Framework, fully supports EasySocial component to build Community / Forum page, it also supports all Joomla default pages with customized style: category blog, contact, login, etc. 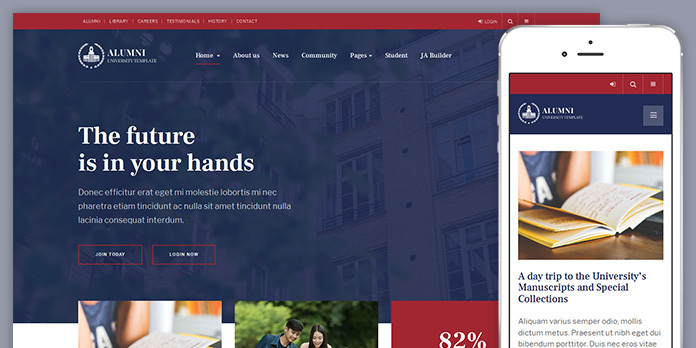 The alumni and university Joomla template is fully responsive to make your website look outstanding in all responsive layouts. 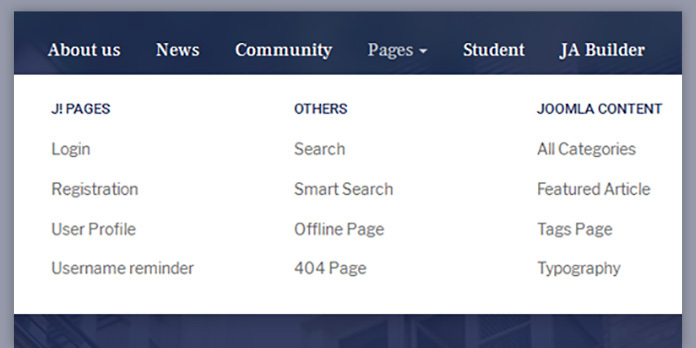 JA Alumni template fully supports EasySocial component with customized style to build community page. The 2 extended content types is to help you create beautiful video and event pages. 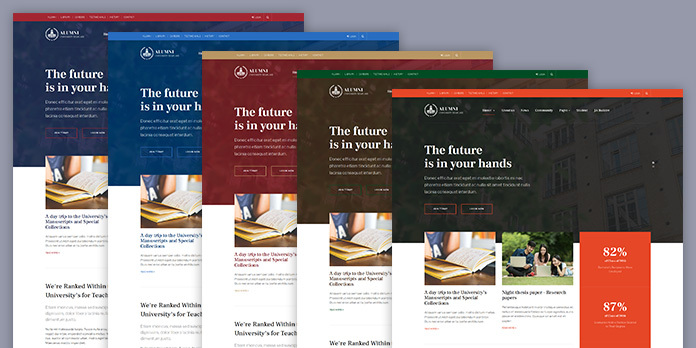 The template supports 6 theme color: default, red, blue, brown, green and orange. 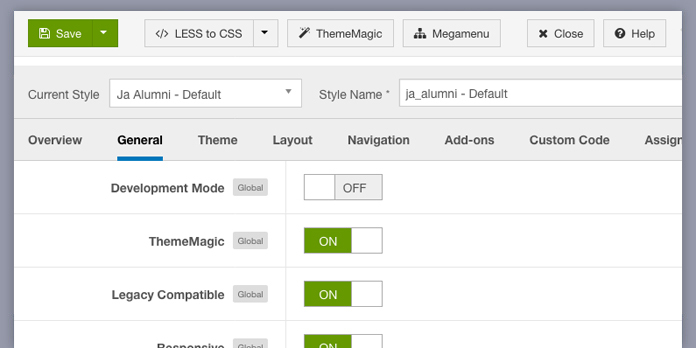 You can switch to any theme in the theme setting within 1 click. 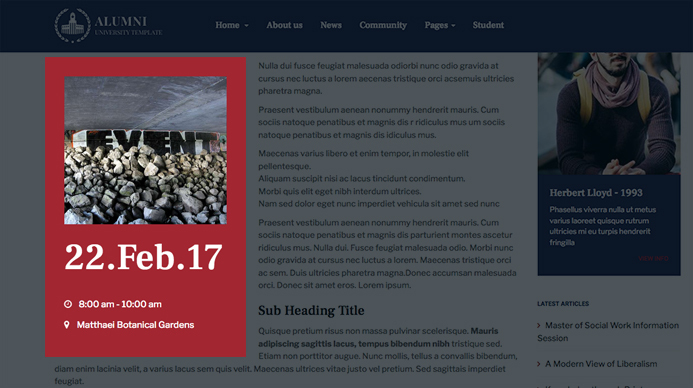 The Alumni template supports all Joomla default pages with customized style to fit the template design. It is built with the best responsive Joomla framework - T3 Framework with powerful built-in features and ease of customization: visual layout configuration, megamenu builder, responsive layout settings, etc. 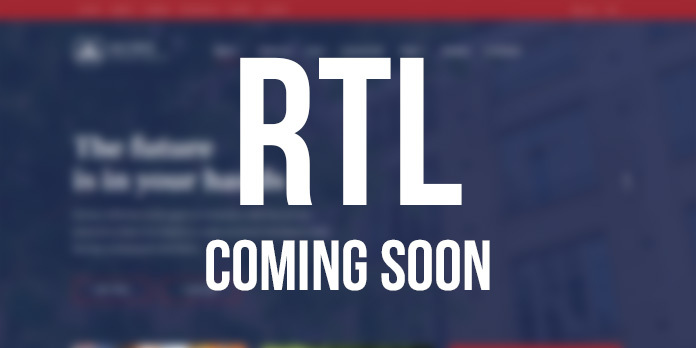 JA Alumni will support right to left layout that allows you build website in special languages: Arab, Persian, etc.